What we accomplish with our small devoted staff, faculty, board and a growing community of dedicated students, parents, supporters and audience is stunning. As we continue to grow our youth and adult education programs, we have even more planned for this season by presenting a number of premiere concert performances. Thank you in advance for contributing at the highest level you can, so that we can continue to spread the many joys and benefits of our American musical dance form together! You can contribute directly through NY Charities by clicking here! 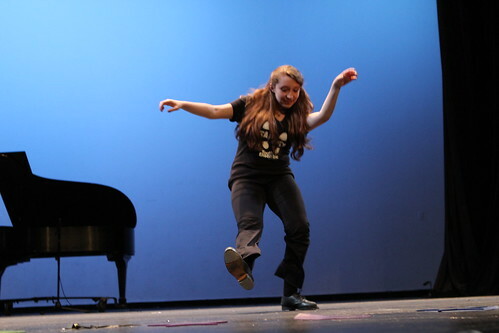 Designed especially to give new students a chance to learn the basic steps and vocabulary of tap dance, this class is a great way to learn the FUNdamental skills! 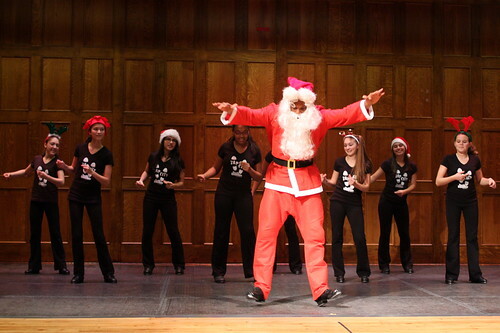 Join us as we celebrate the holiday season with Tap Dance! 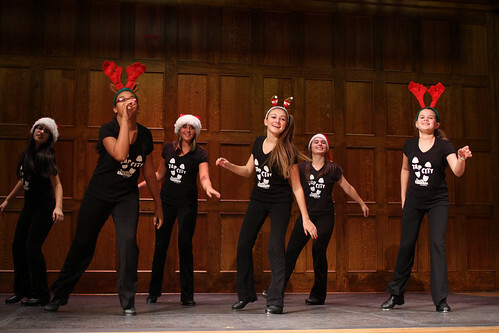 Students from the ATDF Youth and Adult Programs come together for an evening of holiday music and dancing. An evening of new work by New York City's Finest tappers & choreographers! New Holiday Items & Sale! All products, excluding bamboo roll-up Tap Mats & new charms, are 10% off today - December 20th! To ensure delivery before the holidays, place your order by December 12th. 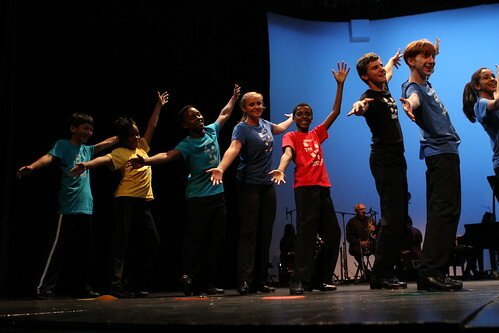 The American Tap Dance Foundation is excited to be embarking on a new collaboration with Jazz at Lincoln Center through the Middle School Jazz Academy and the Tap City Youth Ensemble joining forces. By bringing talented young musicians and dancers together to share their musical and rhythmic ideas and explore jazz culture, they will inform, inspire and expand the horizons of each other as developing young artists. *New student in Absolute Beginner class is free first time for the month of December! The Rockin' in Rhythm Teen Tap Intensive brings together dynamic and diverse youth ensembles from across the country to perform their best works on a New York City stage, and then hit & swing on our American Tap Dance Center floors to learn new rhythms and moves with their contemporaries in master classes. 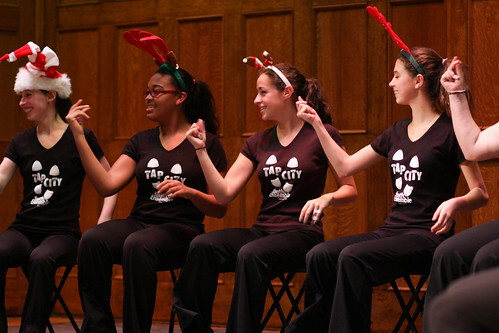 Featured performers include: The North Carolina Youth Tap Ensemble (Chapel Hill, NC), The Legacy Dancers (Lexington, MA), Capitol Tap (Washington, DC), and The Tap City Youth Ensemble (New York City). More to come! Groups must apply and space is limited! 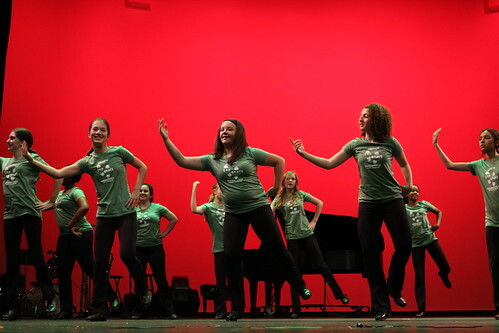 Check out ROCKIN' IN RHYTHM for more information. Register by January 7th and your ensemble's name will be listed on the shirt! Performance at Peter Norton Symphony Space, February 16 at 7:30pm. New York City's Most Sought After Duo, DeWitt Fleming Jr. and Jared Grimes, bring you A Comical Night of Song and Dance. The premiere event in NYC this holiday season. A one-of-a-kind multifaceted live show presented by 2012 American Idol Finalist Aaron Marcellus. Everyone welcome. Come hear the magic of this holiday season. 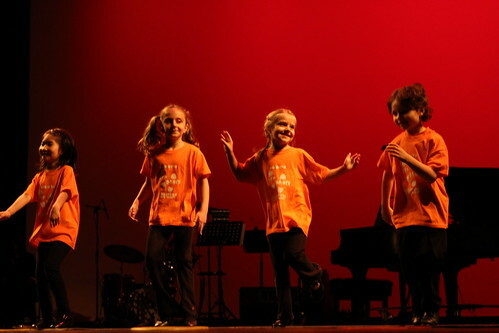 The American Tap Dance Foundation, Inc. would like to thank the following for their generous support: Our Anonymous Angel, the National Endowment for the Arts, the New York Department of Cultural Affairs, New York State Council on the Arts, The 42nd Street Fund, the Tsunami Foundation - Anson and Debra Beard, Jr. and Family, the Heckscher Foundation for Children, The Jerome Robbins Foundation, the Shubert Foundation, Cigna, Stagestep, Capezio Ballet Makers, and numerous individuals, friends and families.